Algerian President Abdelaziz Bouteflika named a caretaker cabinet on Sunday, as he grapples with a political crisis following weeks of protests demanding the end his 20-year rule. 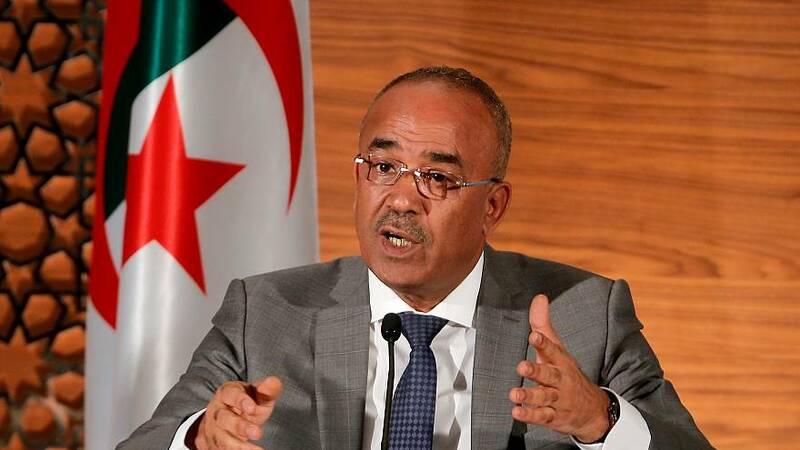 Serving Prime Minister Noureddine Bedoui will head the administration, private Ennahar TV reported. Seeking to defuse the demonstrations, Bouteflika had said on March 11 he was dropping plans for a fifth term. But he stopped short of stepping down immediately, to wait for a national conference on political change. That further enraged protesters. Algeria's army chief of staff, Lieutenant General Ahmed Gaed Salah, renewed a call on Saturday for the Constitutional Council to rule on whether the ailing 82-year-old Bouteflika was fit to rule, opening up the possibility of a managed exit. Salah kept his position as deputy defence minister in the reshuffle, state TV reported. Bouteflika, who has rarely appeared in public since suffering a stroke in 2013, kept his title as defence minister. Tens of thousands have taken to the streets of Algiers for more than a month, complaining of corruption, nepotism and economic mismanagement which they say has tarnished Bouteflika's20-year rule. But two opposition leaders have supported the army initiative. "The merit of this approach is that it responds to a pressing popular demand," Ali Benflis, a former head of the ruling FLN party, said in a party statement. "We are facing a political, constitutional and institutional crisis." Abderazak Makri, head of an Islamist party, said he was against anything that threatened the stability and unity of the country or undermined the military. Several close allies, including some members of the ruling FLN and union leaders, have abandoned Bouteflika. Political sources said the appointment of a caretaker government might be a signal that Bouteflika could resign, given pressure from the military and protesters. The UN Secretary-General said on Sunday he welcomed efforts towards a peaceful and democratic transition in Algeria. Addressing an Arab League summit in Tunis, Antonio Guterres said any steps should be made in a way "that addresses the concerns of the Algerian people in a timely way".